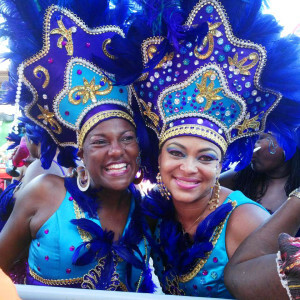 For more than 16 years, CWM and Janssen de Jong have been celebrating Curacao Carnaval with coworkers and their family. 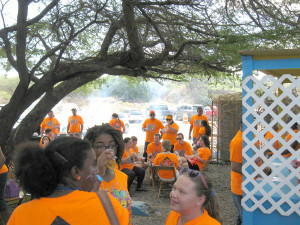 On their well situated trailer along the route they enjoy the colorful creativity of the groups every year. For the first time this year Janssen de Jong organized a so called ‘jump in’ for all its personnel. It was a very successful evening where on the sounds of merengue, bachata and tumba . Our goal of bringing the colleagues closer together was well met! 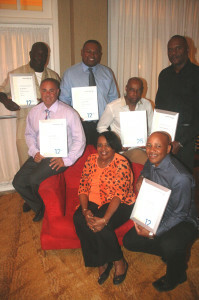 Each year CWM pays special attention in celebrating the work anniversaries of its employees. In the presence of their families the jubilees are put in the spotlight where they are being thanked for their hard work and loyalty to the company. In 2014 Felipe Martis, Evaristo Gerard, Marlon Hinkert and Ferdinand Rosalina celebrated their 12,5-year anniversary. Novile Bartholomeus and Richenel Cijntje celebrated their 25-year anniversary. This year we said goodbye to Mrs. Greta Rosa who worked at the company for 47 years! She’s now enjoying a well deserved pension. Every other year the company organizes a family day for all employees and their family. Beach, sports activities, music, kids entertainment, raffles, giveaways, delicious food and drinks are a must on such a day.